The three-day Advanced Certified Scrum Product Owner A-CSPO course follows the foundational CSPO learning and a year of learning and professional practice. With this new role-specific educational program, the participants will learn specific tools and techniques so they can truly deliver the business value that matters. The course is part of a Scrum Alliance progressive course model offering a staged, two-year journey that allows participants to choose an educational track that improves core Scrum knowledge, and complies to the Scrum Alliance A-CSPO Learning Objectives. This advanced offering is ideal for a Certified Scrum Product Owner who already has one year of experience working as a Product Owner on a Scrum team. This educational offering is on the Scrum Alliance Path to CSP, providing professionals with a set of techniques and skills that go beyond the basics and mechanics of Scrum product ownership, expanding into managing stakeholders, product discovery, and advanced product backlog management. Below you find a list with the currently scheduled public courses with the possibility to register online. If you are interested in having this course as an in-house, including the possibility to adapt it to your individual needs with a more flexible course format, please tell us about it using the Contact Form Course and we’ll come back to you. The training is based on the most modern techniques for adult education and is a balanced mix of frontal lesson and practical activities directed to the integration of the learned content in the daily operations of the participants. We will use plenty of case studies, where possible coming from the participants. Attend a certified educational offering that expands into managing stakeholders, product discovery, and advanced product backlog management. 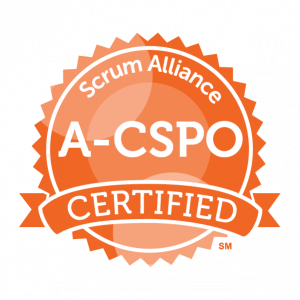 Hold an active Certified Scrum Product Owner® (CSPO) certification with the Scrum Alliance. Demonstrate at least one-year work experience specific to the role of Product Owner (within the past five years). The course can be delivered in English, German or Italian.